discussion and highlight what, where and how change can be implemented. Surfacing: how and why things are done. Barriers and alignment: highlighting sticking points and supporting factors. Planning Changes: planning future actions and changes. Stories: How an organisation understands and explains itself. Rituals and Routines: The accepted norms and practices. Symbols: Physical artefacts. The unofficial and official representations of culture. informal routes of power and influence. 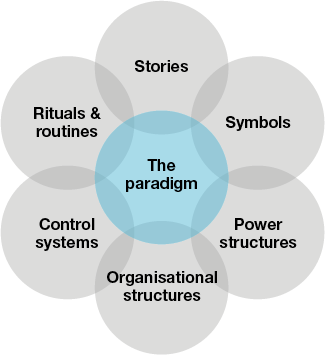 Power Structures: The people and the systems who have the power to get things done. Control Systems: How an organisation controls how things are done. ‘Mapping and Re-mapping Organisational Culture: A Local Government Example’, view it online here.